Welcome to Friday and the beginning of the weekend. 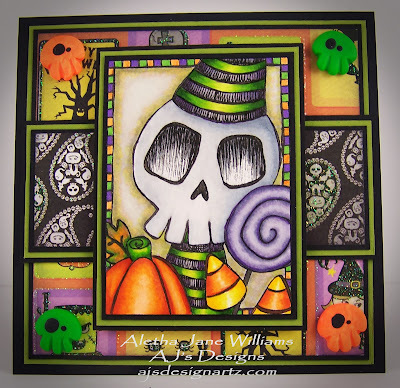 Today starts Week 2 of our Halloween challenge at Dilly Beans. We do require you to use Dilly Bean stamps if you play along. 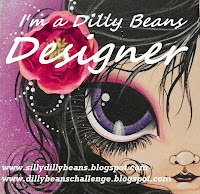 The prize is 3 digital images from Megan’s shop, Dilly Beans. I created a little 4¾” card using Dilly Beans “#460-HalloweenSkellie Framed.” I thought he was the cutest. 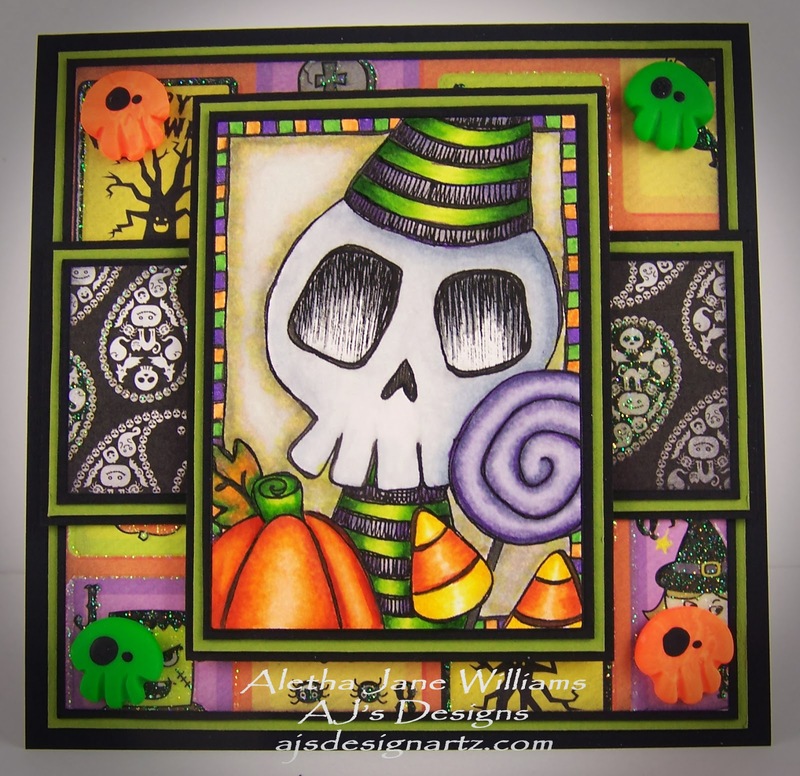 I especially enjoyed coloring him with Copics and adding the accents with Wink of Stella glitter pens. 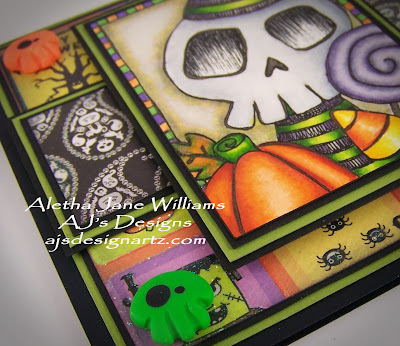 My cardstock is all from Stampin’ Up!, basic black and old olive. My designer paper is Happy Haunting from Best Creation, Inc. 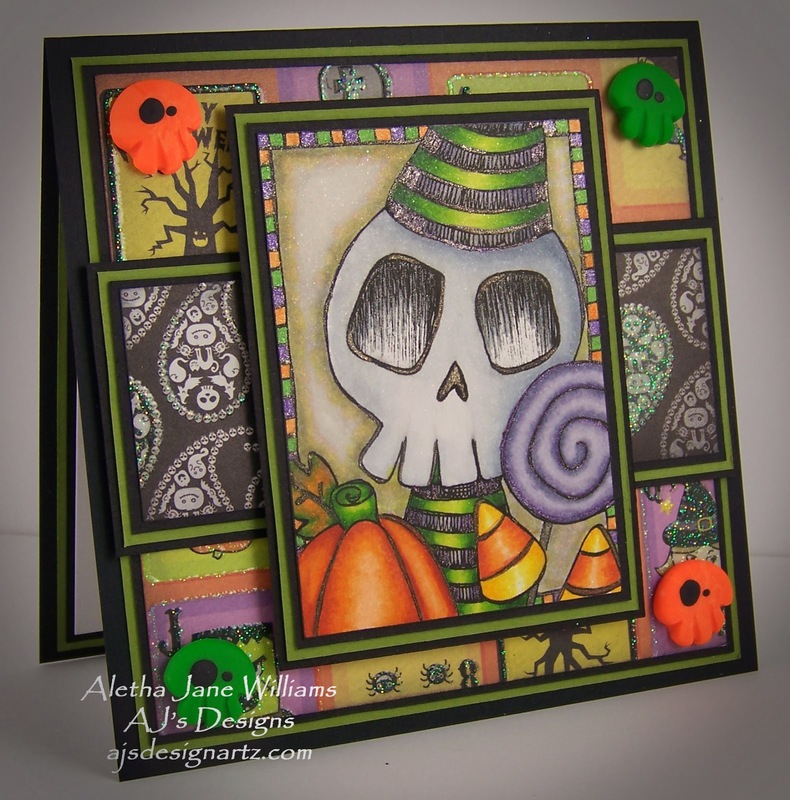 This pack of paper is designed with a lot of glitter pages, perfect for Halloween. See those little wonky-eyed skulls. Those little cuties were designed by Gloria of Creepy Globugg Concoctions on Etsy. Go check out her store. You might find just the perfect addition to your Halloween décor. 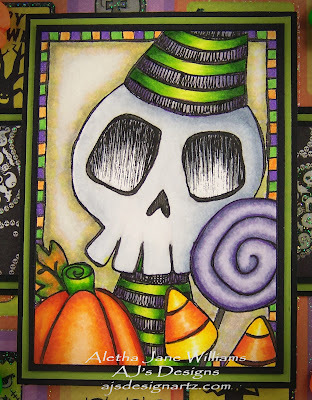 I hope that you do join us for this Halloween challenge. After you do, we would love if you would come share your little piece of art with us in our Dilly Beans Facebook group. Thanks for stopping by! 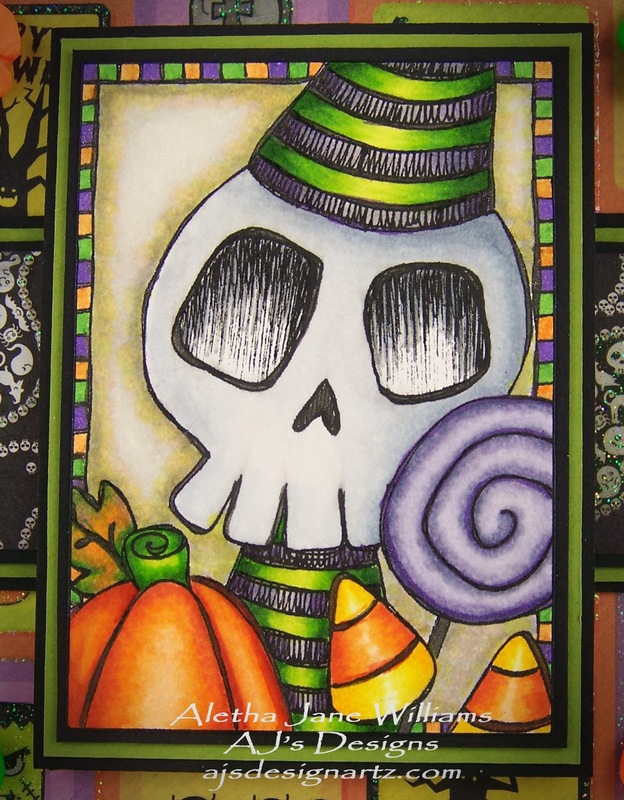 I hope each and every one of you has a safe and very fun Halloween! If you have any questions, please don’t hesitate contacting me.